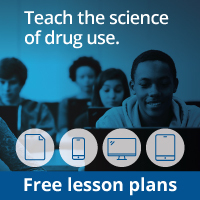 Have students write a short paragraph on how addiction to heroin or cocaine changes the brain. You can assist them with this by reading through the teacher’s guide content. Then, have each student uniquely illustrate the concepts in a comic-book style. They can create neuron characters, neurotransmitter superheroes (dopamine), and villains (heroin or cocaine). Explain to the students that “Letters to the Editor” pages in local newspapers are an excellent way for people to get messages out about issues they care about. Have students write their own letter to an editor as a Brain Power! drug expert about the importance of drug education in the schools.